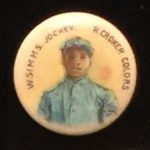 Whitehead & Hoag made jockey pinbacks for a number of concerns. 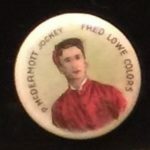 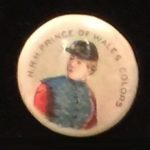 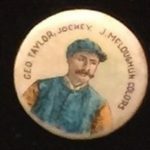 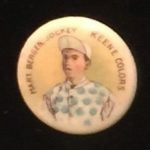 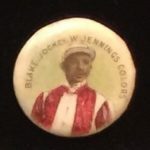 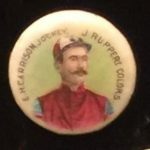 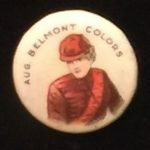 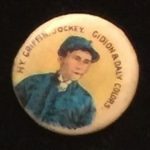 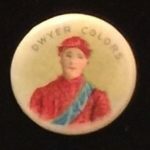 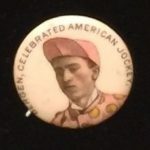 The most common Jockey pinbacks are the set of nine shown in first gallery. 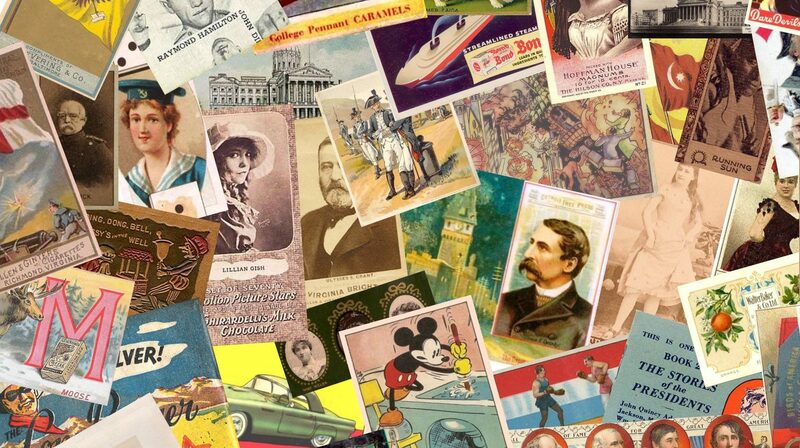 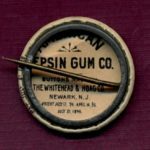 These can be found with back papers for Jockey Cigarettes (printed in red) and for American Pepsin Gum. 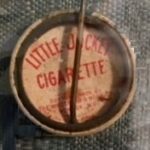 The Jockey Cigarettes would fall under the P8 ACC classification and the American Pepsin Gum would fall under the PE7 ACC classification. 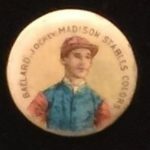 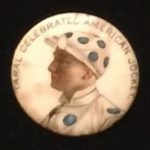 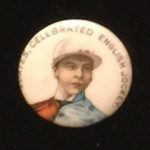 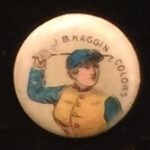 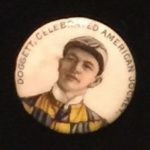 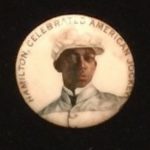 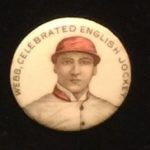 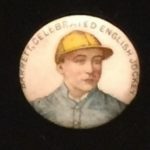 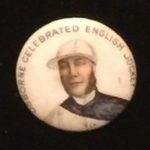 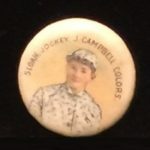 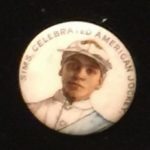 The second group of Jockey pins was a group of 20 that utilized some similar artwork to the E47 American Caramel Jockey trading cards issued around the same time. 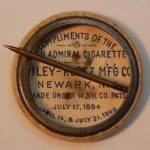 This group of 20 was issued with High Admiral tobacco and would also fall under the P8 ACC classification. 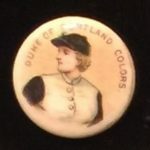 The ones from my collection are pictured in the second gallery.